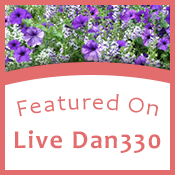 Are you over run with tomatoes? We are. And while I love, love, love the taste of fresh tomatoes, I’m getting a little tired of tomato sandwiches, pasta with fresh tomato sauce and Caprese anything. 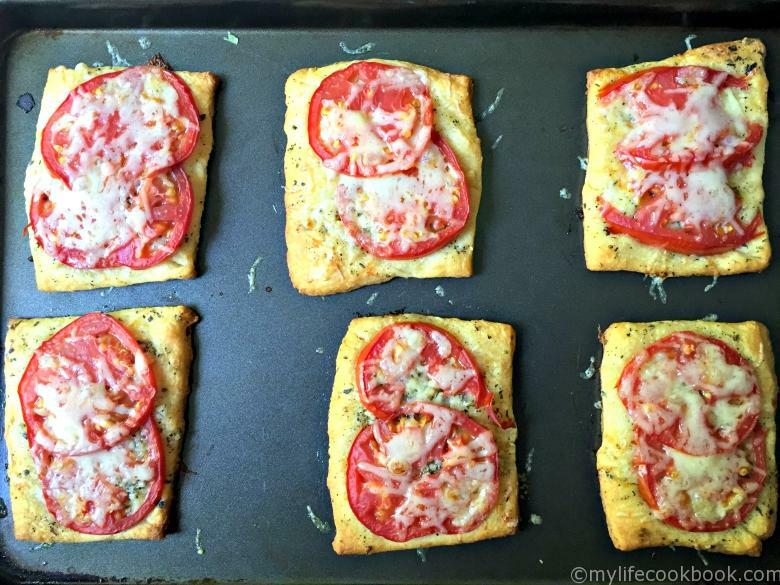 I had some crescent roll dough in the refrigerator and thought I’d whip up a quick little tomato tart for lunch and it was tasty. This took only minutes to do. I just separated the crescent rolls into 4 sheets and pinched the middles together to make a smooth-ish rectangle. Then I cut the rectangles into squares so I ended up with 8 tarts. I made a little mixture of olive oil, garlic, oregano and basil and brushed that on each tart and then topped them with a few fresh slices of tomato. I didn’t want this to taste exactly like pizza so I used a sharp cheddar cheese on top. You can use whatever you like. I wish I had some asiago as I think that would be tasty. 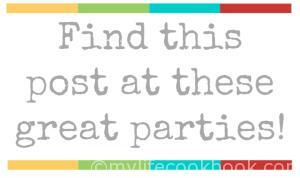 Then I just placed them in the oven and cooked them until they were brown. These came out beautifully and tasted great. I think it only took a few minutes to assemble and about 12 minutes to cook. So the next time you are trying to find something to do with all those beautiful tomatoes from your garden, give this a try. I think you’ll like it. 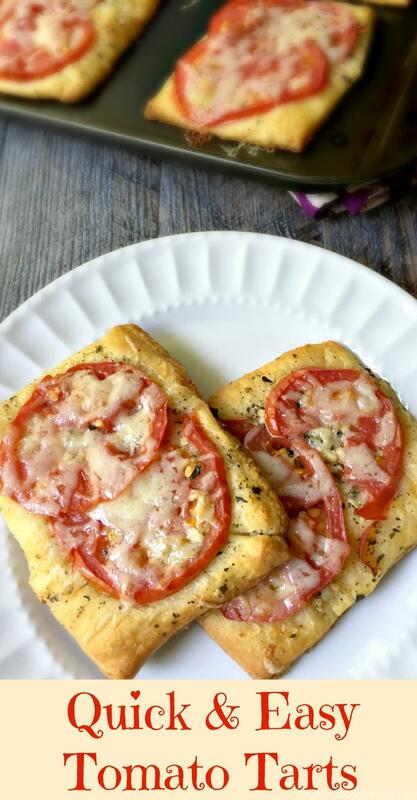 Using crescent rolls you can make these tomato tarts in just minutes. Tastes great when you use fresh garden tomatoes. Preheat oven according to the crescent roll instructions. 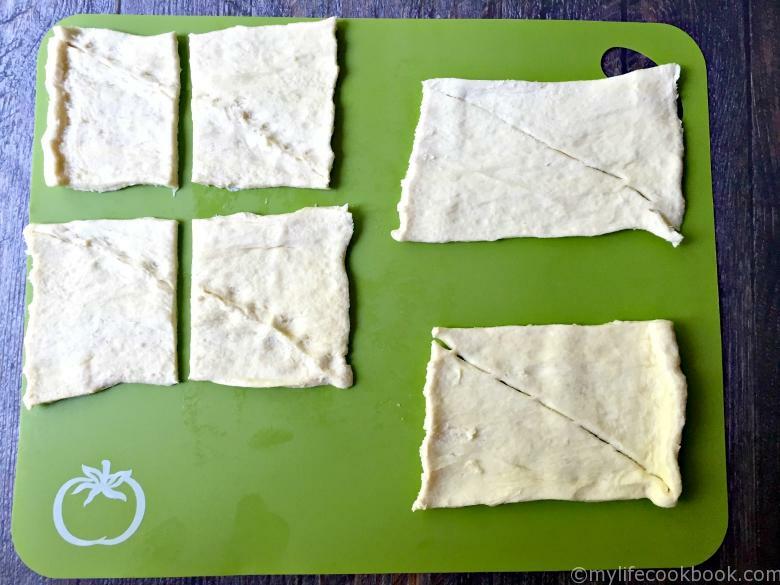 Separate your crescent rolls to make 4 rectangles. Pinch together the seems to make 4 rectangles. 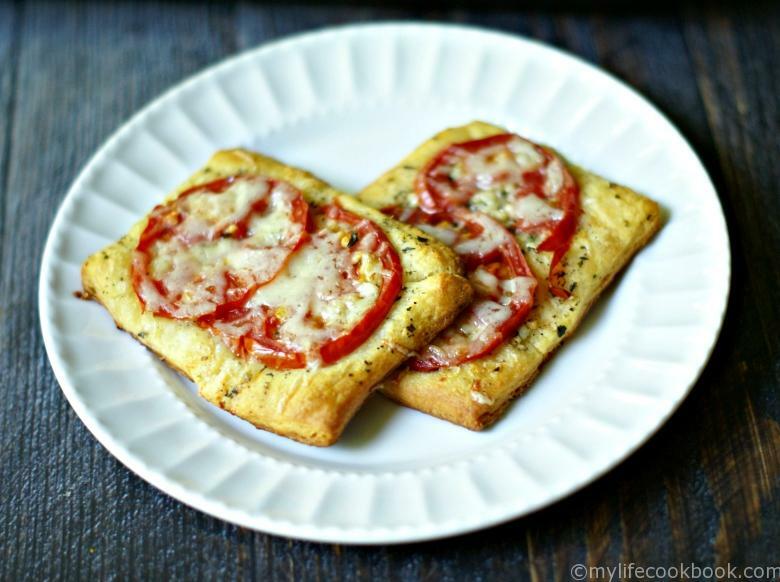 Cut each rectangle in half to make 8 tarts. Mix together olive oil, garlic and spices. Brush the oil mixture on each tart. 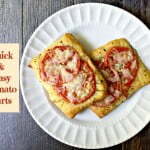 Place tomato slices on tarts and sprinkle with grated cheese. 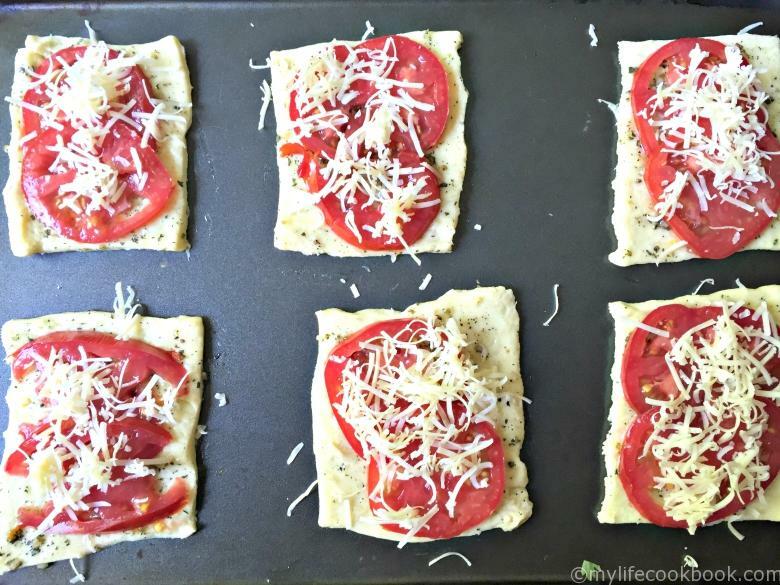 Cook according to crescent roll directions or until the cheese browns and dough is cooked. Thanks Caroline. 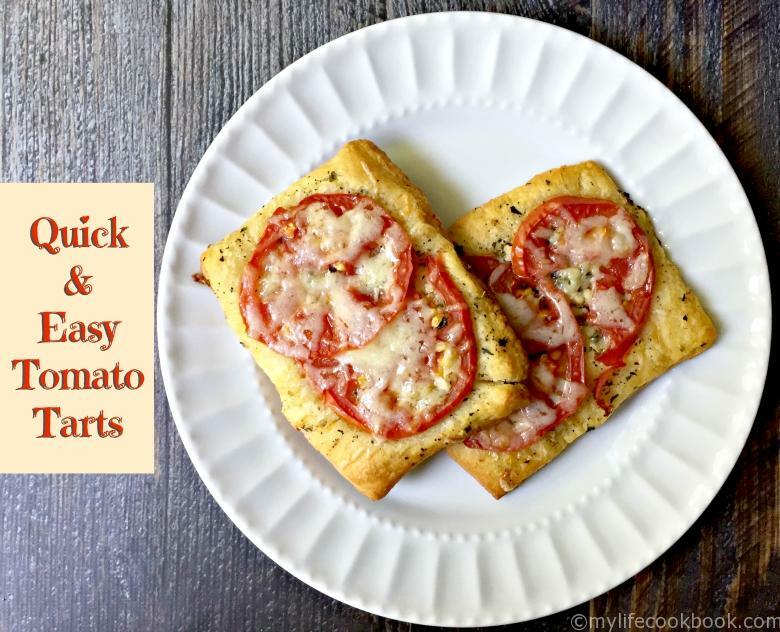 It’s quick and easy and tasty too! Perfect ! Just the snack I need now and it would make a delicious appetizer too !